For shorter rides and a more casual look without sacrificing safety and waterproof membranes, the Response 2.0 is the right choice. A water-repellant leather and PU upper combines with a HiPora® waterproof, breathable membrane to kep you dry. 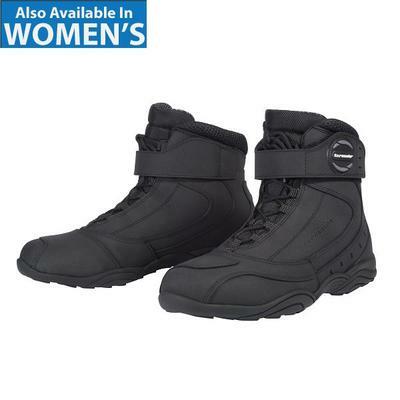 Molded nylon ankle guards and a thermoplastic heel cup and toe cap offer added protection.